Updated every 5 minutes with the latest real estate for sale in Pawleys Island - including MLS listings, homes, condos, townhomes, investment property, and land - as posted by Pawleys Island real estate agents and brokers - over 30% more listings than Zillow, Realtor, Trulia, and Redfin. Get Signed Up Now and get the latest Pawleys Island tax and HUD foreclosures, REO properties, bank owned homes, and short sales being offered at HUGE price reductions and significantly lower than retail value. Pawleys Island is a city in Georgetown County, South Carolina, and sits on the Atlantic coast barrier. The island rests on the southern end of the Grand Strand, as is one of the oldest resort areas of the entire United States East Coast. The town of Pawleys Island, however, resides only on the island itself. The earliest inhabitants of the area were the Waccamaw and Winyah Native Americans. The island was used as a refuge from the mosquitoes during the summer for the tribes. The namesake of the town, George Pawley, owned the island during the Colonial era and sold portions to other planters who wanted to escape from the threat of malaria. Though the Grand Strand began to develop as a tourist area in the early twentieth century, Pawleys Island was one of the last areas to see any sort of heavy development. As such, Pawleys Island holds a natural and antiquated beauty to it to this day, despite having become a resort area. The Pawleys Island area, as well as its surrounding communities, cities and neighborhoods, all fall under a humid subtropical climate categorization. The summer seasons tend to be on the longer side, and especially hot and humid, with average daytime highs being from eighty-three to ninety-one degrees Fahrenheit. The coastal location of most of these areas somewhat mitigates the heat in comparison with inland areas of South Carolina. Mild winters are also expected, with rare freezing temperatures and light frost, thought it estimated less than fifteen days per year will see any kind of frost. Tropical thunderstorms and precipitation are common during the summer months as well. Pawleys Island is one of the best areas you can find on the East Coast to get out and enjoy some of South Carolina’s beauty and rich history. The area is surrounded by nature, and those who want waterfront views, activities and recreation are sure to find much to do on Pawleys Island. Pawleys Island isn’t quite the tourist hub that Myrtle Beach or North Myrtle Beach are, but it does not lack for shopping. Pawleys Island instead has plenty in the way of interesting, smaller shops with unique treasures for every kind of shopper. Whether you are looking for vintage fashion, antiques or something a bit harder to find, Pawleys Island has you covered. Pawleys Island has a fantastic mix of exotic cuisines coming together to form one phenomenal dining experience. With its classic American offering and exotic cuisines from all over the world coming together on your plate, you can hardly find a better experience. Dining in style is the standard in Pawleys Island and it doesn’t get much better than that. Pawleys Island is amongst the coastal cities in the area, and no one parties quite like beach bums. Of course, Pawleys Island doesn’t just revolve around beach culture. Instead, it has its own offerings of bars, pubs, breweries and clubs where you can catch the game over a cold one just as easily as you can spend the night dancing your shoes down to their soles. 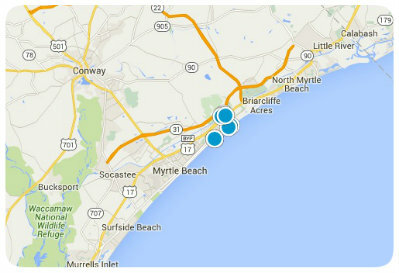 The Pawleys Island area is highly praised for its school systems throughout its many suburbs. Those looking to raise a family, or to further their own education, need not worry about a shortage of schools, both conventional and unconventional; it’s the perfect opportunity to learn on the beach, and off it. For those who are looking to make the move to any area within the Pawleys Island area, the local job market is not in short supply, nor is the income many residents can expect. There are a feature of many big names and hubs, as well as smaller boutiques, shops and restaurants that can make use of all kinds of varying talent residents might have to offer. If you want to step out of the water for a bit and enjoy some local history or culture, the Pawleys Island area is in the perfect place to do so. Not only do you have an abundance of rich history, but you also have several historical towns about and the ever present presence of the beach culture around. Pawleys Island might have been in last place when it came to development, but the little island has become a true gem amongst South Carolina’s many resorts and tourists hubs. This beach chic area offers plenty for those looking for a private home on the water as well as visitors who want to see a preserved piece of South Carolina beauty. Be the first to know when new Pawleys Island short sales, foreclosures, deeply discounted homes, and brand new hot properties come onto the market before anyone else - over 30% more listings than Trulia, Zillow and Realtor. Do you own a home in Pawleys Island and want to find out instantly and completely free what it is worth in today's market - with absolutely no cost or obligation?